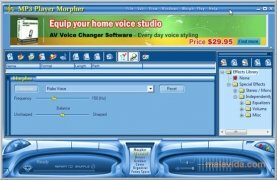 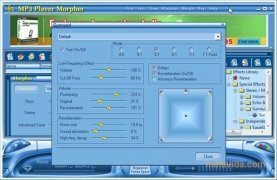 This application allows us to apply all kinds of modifications to our audio files like the transformation of our voices, applying changes to the tone, the timbre, the modulation, the speed or the frequency, generating simple effects like ghost sounds, under the water, echo, etc... and other special effects. 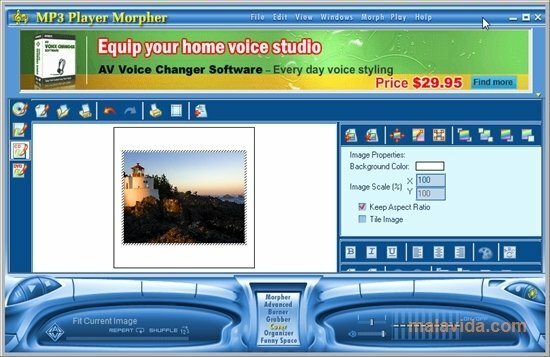 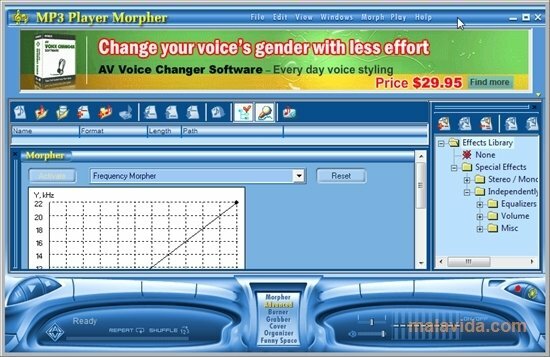 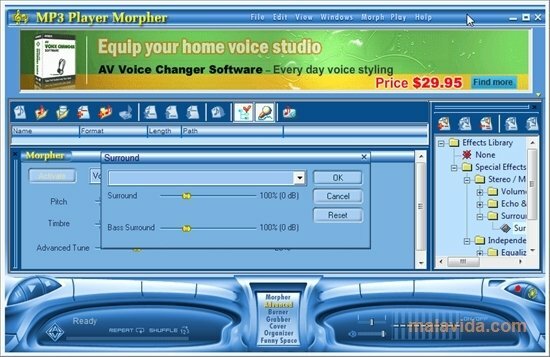 Another interesting feature of AV MP3 Music Morpher is the possibility to configure a great amount of parameters regarding the sound that is playing, so that we can listen to enveloping music, with the reverberation modified depending on the position, size and absorption in the room, etc. Furthermore, it also includes presets to make it easier and quicker to apply them.